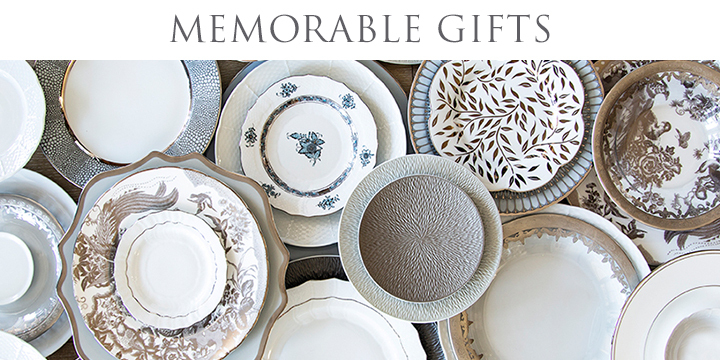 Need Your Special Gift Sooner? "I bought these as a gift for my bridal party to use as a jewelry bowl - they are so elegant! Turns out - if they don't want to use them as a jewelry bowl, they can bake in them!" At Sasha Nicholas we are dedicated to old world aesthetics and sophisticated European design that translates to today's lifestyle. 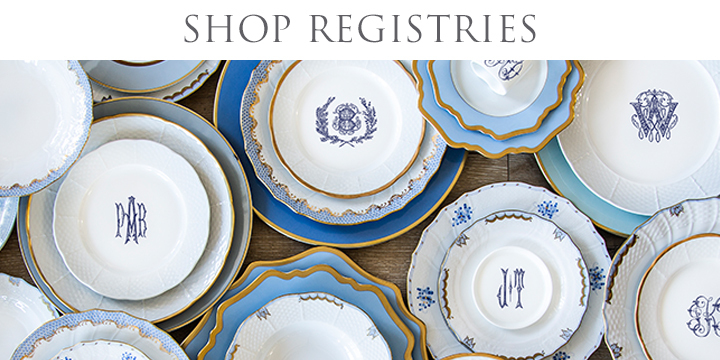 Our unique handcrafted pieces, made-to-order with your personal inscription may be used every day yet become family heirlooms. 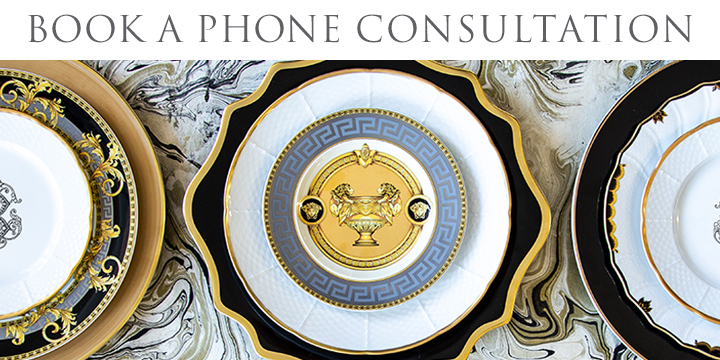 Our dinnerware starts in the finest porcelain factories in Europe. It is hand decorated, kiln fired, and shipped from our Saint Louis studio. In addition to your design on the front, our larger pieces offer a custom message on the back. Now you have a new way to create a lasting memory for any occasion. 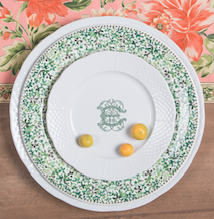 Our mission is to make dinnerware more beautiful durable and meaningful - make it yours!